Manchester City and Liverpool are looking like they will have to fight for the Premier League trophy till the very last day in what has turned out to be one of the most thrilling title races in recent memory. Whilst the two are way ahead of the rest of the pack, the question which remains is which two teams will join them to qualify for the Champions League next season. 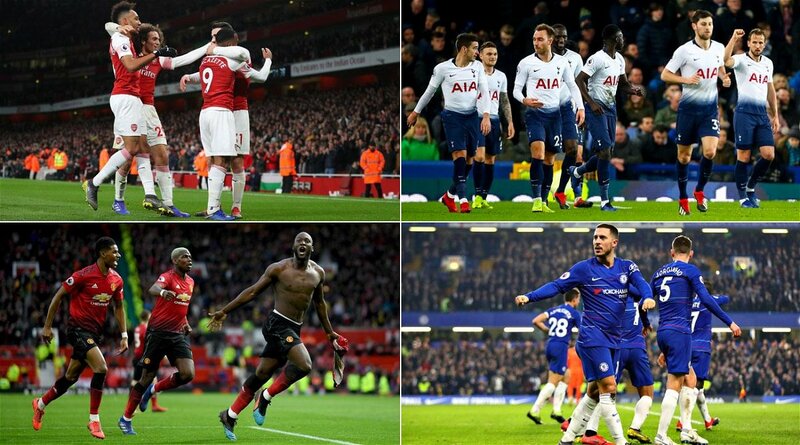 Arsenal, Manchester United, Chelsea and Tottenham Hotspur are delicately separated by a 3-point margin in the Premier League top four race with Maurizio Sarri’s men having played a game more. Chelsea, Manchester United, Tottenham Hotspur and Arsenal are fighting for the two remaining Champions League spots. 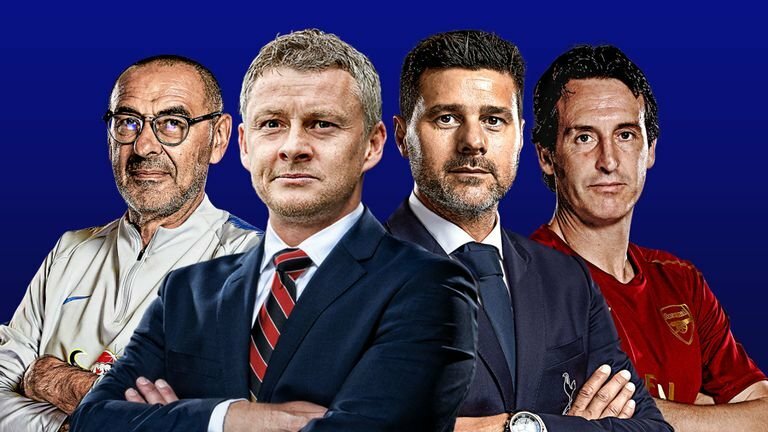 Here, we take a look at the remaining fixtures and make significant predictions about who will constitute the Premier League top four. As things stand, Tottenham sit in third place having reclaimed the spot with a comfortable 4-0 win against Huddersfield on Saturday, after a disappointing last month or so for Mauricio Pochettino’s side. Tottenham have hit the ground running at their new stadium, winning each of the first three games, two in the Premier League against Crystal Palace and Huddersfield Town, and the brilliant 1-0 victory in the quarter-final first leg against Manchester City in the Champions League. 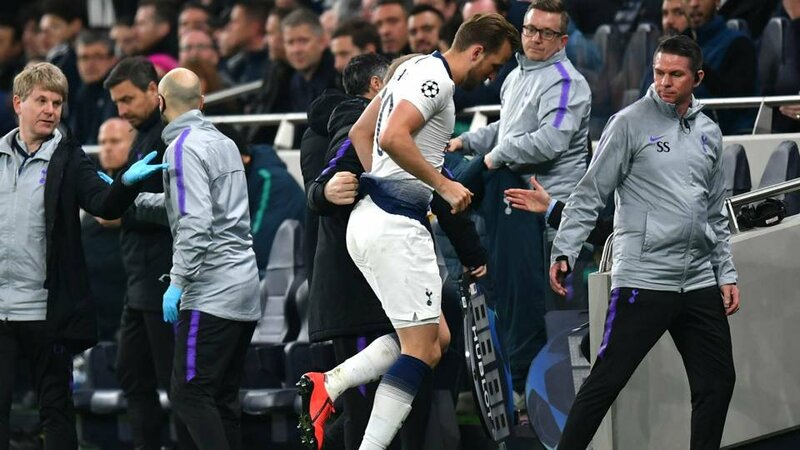 Harry Kane came off injured in Spurs’ quarter-final first-leg victory against Manchester City in the Champions League. The win against Manchester City, however, was blotted by an injury blow to Harry Kane. Mauricio Pochettino has confirmed that the “significant lateral ligament injury” will probably keep the English captain on the sidelines for the rest of the season. On the positive side, Son Heung-min has returned to form, whilst Lucas Moura’s brilliant hat-trick on the weekend makes him a suitable alternative to replace the talismanic Kane. 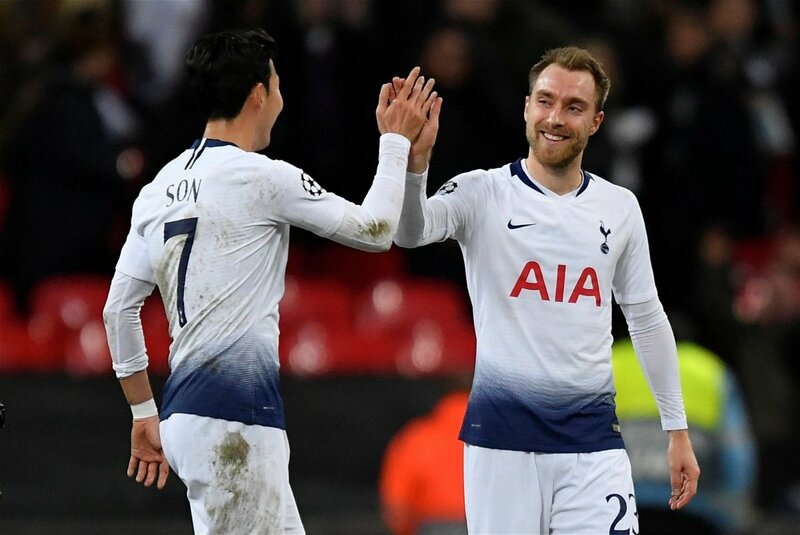 Spurs play Manchester City twice this week in Champions League and Premier League outings, and will look to win both games in order to cement third place in the league and also book a semi-final berth in the Champions League. However, it wouldn’t be straightforward for them as Pep Guardiola and City are aiming to secure an unprecedented quadruple. Son and Eriksen will look to fill Kane’s void in Tottenham’s top-four pursuit. Following the double-header against City, Spurs have suitable home fixtures against Brighton and West Ham before travelling to Bournemouth in a tricky away match on the penultimate weekend. Tottenham finish the season with another home game against an inconsistent Everton side. How will things pan out in their Premier League top four battle? Mauricio Pochettino’s men have a favourable run of fixtures in the Premier League top four race, though it could all change if they make the Champions League semi-final. They will definitely look to end the season on a significant high. 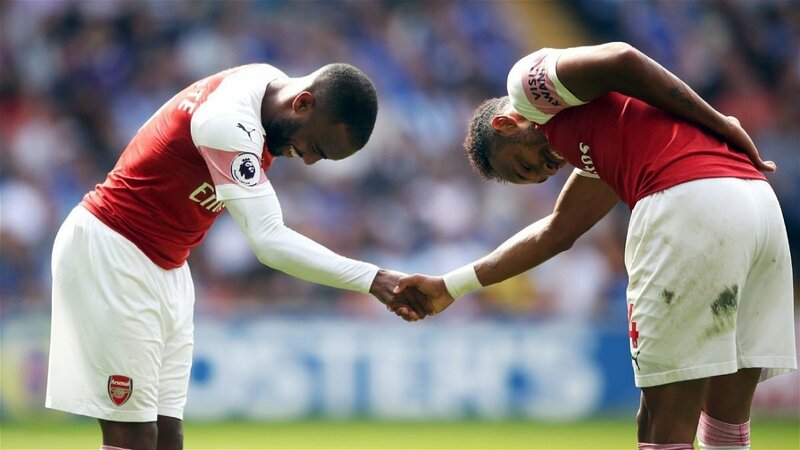 Arsenal will look towards their superstar duo of Lacazette and Aubameyang to achieve Champions League qualification for next season. Arsenal’s slender 1-0 win against Watford on Monday saw them climb up to 4th place in the table, providing another twist in the race for Champions League qualification. The Gunners were back to winning ways after their narrow defeat to Everton in their previous Premier League game. Unai Emery’s men will be confident going into the last stretch of the season. The Gunners boast a host of promising fixtures on paper, but their abysmal away record could prove to be costly in their hopes to achieve Champions League qualification in the Premier League top four race. Arsenal host Crystal Palace at the weekend, before visiting the Molineux to face Wolverhampton Wanderers. Wolves came away with a handy 1-1 draw at Arsenal in November and boast a remarkable record against top-six teams this season. Following Wolves, Arsenal then travel to Leicester in another dodgy away trip, before hosting Brighton on the penultimate weekend. Arsenal are on the road again on the last day of the season at Burnley. Though Arsenal avoid the top six in their last five games, they do have three tricky away trips to overcome in their race for the Premier League top four. Unai Emery’s side have an embarrassing away record in the league, having recorded their first clean sheet away from home this season at Vicarage Road on Monday. Before that victory, Arsenal have managed to beat only Huddersfield and Bournemouth on their travels since November 25. Arsenal currently sit at 4th position, though the Gunners will find it difficult to remain consistent, and like Chelsea, they will rely on the Europa League to attain Champions League qualification. Eden Hazard, key for Chelsea’s Champions League pursuit, has been in brilliant form this season scoring 16 goals and providing 12 assists. It is difficult to define Chelsea’s Premier League campaign, having shown both promising signs as well as significant shortcomings whilst adapting to Maurizio Sarri’s new system. However, just when fans and pundits wrote off Chelsea’s chances to secure Champions League qualification for next season, they have stepped up a gear in recent weeks and joined the rest in pursuit of a top-four finish. Sarri has finally given regular league starts to youngsters Callum Hudson-Odoi and Ruben Loftus-Cheek, both previously impressing in the Europa League. 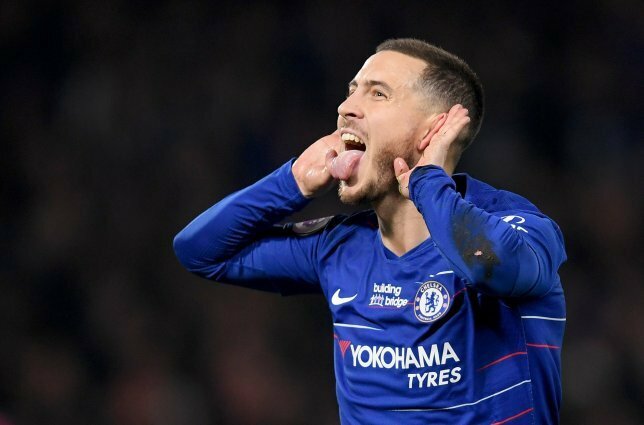 But if Chelsea are alive in the Premier League top four race, they will have to thank Eden Hazard and hope that the Belgian continues his blistering form till the end of the season. Currently, Chelsea occupy 5th place in the Premier League table only behind Arsenal on goal difference, though the Gunners have a game-in-hand. Following the defeat at Anfield, Chelsea host Burnley next Monday, before they travel to Old Trafford in a season-defining six-pointer clash against Manchester United. The Blues round their season off with a home fixture against Watford and a tough final-day trip to Leicester City. Chelsea’s fixtures are tougher than the rest of the teams in their bid for the Premier League top four. In addition to that, their potential Europa League semi-final legs could provide added hindrance to their Premier League top four pursuit. Maurizio Sarri will might as well prioritize winning the Europa League and hence gain automatic Champions League qualification. Paul Pogba‘s form will be vital for United’s chance of securing a top-four finish this season. 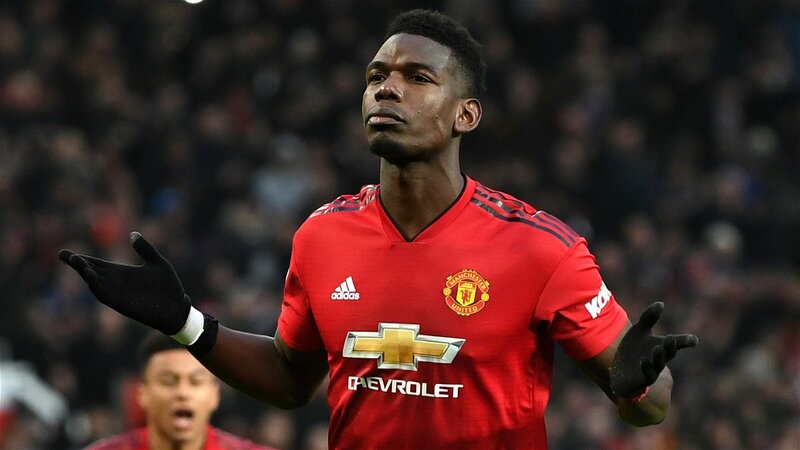 Ole Gunnar Solskjaer has stated that his Manchester United side will have to dig in deep to secure a Premier League top four finish in the Premier League this season. The Norwegian travels to the Nou Camp this week in order to turn around a 1-0 deficit in the Champions League quarter-final second leg against Barcelona. Failure to qualify for the semi-finals could prove to be a massive advantage for Solskjaer’s side, as his team would then be able to fully concentrate on the remaining few games in the league. United fly to Everton in a must-win match next weekend, before hosting cross-town rivals Manchester City in a season-defining derby for both clubs. The Red Devils then host another top-six team in the form of Chelsea before travelling to already-relegated Huddersfield Town. United host Cardiff City on the last day, rounding off their erratic Premier League campaign with two favourable fixtures. Solskjaer will look at the three blockbuster games against Everton, Manchester City and Chelsea to be the week which more or less defines their season. Though United are currently sixth on the table, the club has been able to bail themselves out of tough situations in previous seasons, and will look to do so once again in the Premier League top four battle. 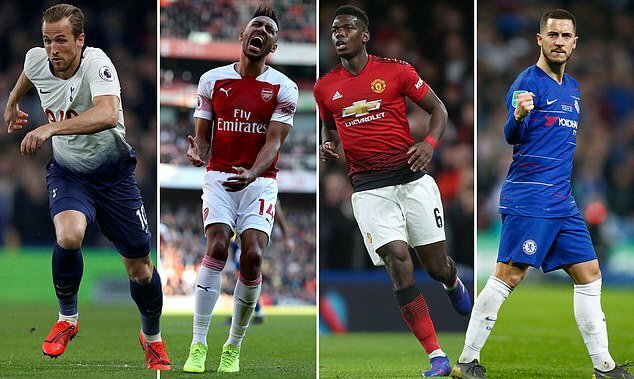 Europa League matches for Chelsea and Arsenal sandwiched between must-win Premier League matches could provide United with a chance to capitalize in the Premier League top four race. Predictions: Tottenham (3rd), Manchester United (4th), Chelsea (5th) and Arsenal (6th).